Wool Blend. Sleeve Length: 6". Total Length: 22". Very light wear. If an item were in excellent condition with an easily replaceable button then it would be graded as a FAIR. Sleeve Length: 8". Total Length: 38". Very light wear. If an item were in excellent condition with an easily replaceable button then it would be graded as a FAIR. Condition is Pre-owned. Good condition. Elie Tahari Womens Button Front Crew Neck Tweed Cardigan Black and Grey Wool Size Small. Condition is Pre-owned. Shipped with USPS Priority Mail. Silk Blend. Button Closure. Sleeve Length: 26". Total Length: 29". If an item were in excellent condition with an easily replaceable button then it would be graded as a FAIR. Very light wear. VERY GOOD–. Elie Tahari Knit, Wrap Cardigan. Used but well loved and taken care of. Back Collar to Bottom Hem: 22.5". Elie Tahari Summer Sweater Sea Foam; size XL, soft, 100% cotton. Shipped with USPS Priority Mail. 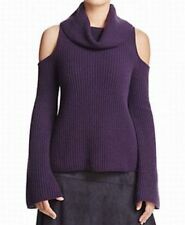 Lovely Designer Fitted Sweater by Elie Tahari. Thin leather lacing along the neckline. Ribbed Knit Waist - Curled wavy hi-lo hem longer in the back. Shoulder to Hem Length Front 18". Shoulder to Shoulder 16". Open Front. Cotton Blend. Sleeve Length: 7". Total Length: 19". No visible flaws or wear, looks almost new. Very light wear. If an item were in excellent condition with an easily replaceable button then it would be graded as a FAIR. Preowned Elie Tahari Sweater. Size: large. Length: 25". OPEN FRONT - LONGER STYLE - LONG SLEEVE. LENGTH: 29". Sleeve Length: 12". Cotton Blend. Total Length: 28". If an item were in excellent condition with an easily replaceable button then it would be graded as a FAIR. Very light wear. VERY GOOD–. No visible flaws or wear, looks almost new. Elie Tahari. Material: wool blend/ real leather. Shoulder down length 24". Condition: Normal worn & slightly pilling signs. Type Cardigan. Material Wool. Color Purple. Discover daily new arrivals in all seasons, sizes and styles that you can't find anywhere else. Item Details. Excellent used condition! Beautiful brown long buttoned cardigan, ruffled V neck, Brown, super classy! Pre-owned Elie Tahari white long sleeve cardigan top size L, in excellent condition. sleeve length: 25". length: 25". Made of polyester, and elastane. Solid black, v neck, button down, pleated back, neckline is decorated with braided fabric and sheer chiffon ribbon. 100% cotton. Great condition! Has a small line across the back where there's a defect in the fabric. Length:25.5". In Good used condition ( no visible stains, holes or tears ). armpit to armpit:20". Beautiful pink size xs Ribbon belt Used condition A few tiny holes as noted in pics. The ones in the front tend to be covered based on how the sweater lays. The one in the back is not covered and sits on shoulder. Women's small Elie Tahari cardigan Short sleeve 70% cotton, 30% silk Hidden snap buttons up the front Shoulders: 14" Bust: 18" Length: 23" Great preowned condition. No stains, tears or odors. 100% Silk Liner. Length 25”. Slit Sleeve. Pre owned. Clean and great condition. Looks new. Missing button. Type Cardigan. Discover daily new arrivals in all seasons, sizes and styles that you can't find anywhere else. Color Beige,White. Material Cotton. All details of the product have been included. CLICK HERE FOR FULL ITEM DESCRIPTION including detailed measurements and photos. 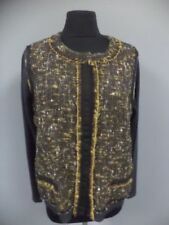 Elie Tahari waterfall sweater in excellent condition. Fabric and care tags are missing. No flaws. Armpit to armpit measures 20”, Sleeve length is 27”. Type Cardigan. Discover daily new arrivals in all seasons, sizes and styles that you can't find anywhere else. All details of the product have been included. Material Other. Item Details. Color Blue/Navy. Elie Tahari Top. Long sleeves. Length 24". Care Instructions Item may have been tucked behind the mannequin for photos. Fabric Content. ELIE TAHARI Brown Lace Cardigan. Size Large. Length: 23.5". See Photos. Inside marked sample. 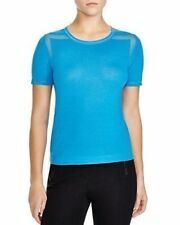 NWT ELIE TAHARI Silk Blend TULIA Sweater 85% Off!